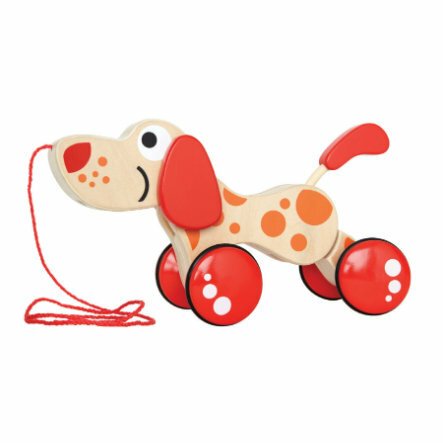 HAPE Pull-along Toy Dog "Puppy"
Variants of HAPE Pull-along Toy Dog "Puppy"
Sit! Wait! Roll! Teach this cute dog funny tricks. Not suitable for children younger than 12 months. Customer Ratings - HAPE Pull-along Toy Dog "Puppy"